We repeat, from yesterday’s article: The proposal by the Moriarty-Edgewood School District administration is to close 40% of the elementary schools in the district. Feel free to right-click on the image and choose, “open link in a new window,” for a larger and clearer image. 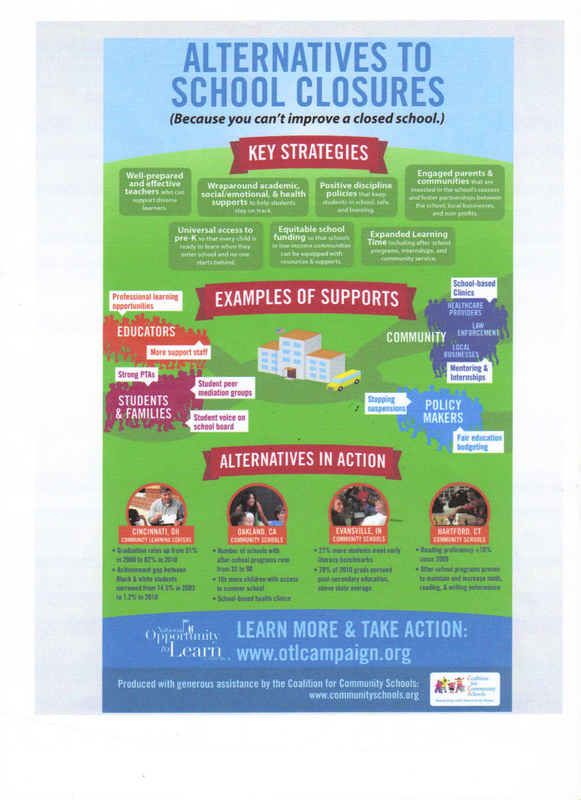 The community schools movement, and the work of Taylor and Adelman in school mental health which has been cited by others, along with the CSM, in support of keeping EES open at all costs, are aimed at improving underperforming schools in urban areas. Since that’s not the problem we face, this is not an appropriate model. How would bringing wrap around services into the elementary schools solve the problem of shrinking student populations? This sounds like more “tail wagging the dog:” If we build stuff, people will move here and bring us kids. Schools serve kids and communities, not the other way around. I also note that the credo “they’re closing the only elementary school in Edgewood” has changed to “they’re closing 40% of the elementary schools.” That’s also misleading. What is proposed is a reorganization that will balance out the school population from K to 8 in 5 schools instead of 7. The MESD plan is actually quite sensible, and innovative. Besides addressing the immediate crisis, It brings our middle schools into alignment with neighboring communities that are 6 – 8. I don’t understand all the resistance to this plan and have yet to hear a single tangible solution from SOS to the district-wide dilemma. It seems to be all about keeping a single school open for a group of parents who don’t want change. I have to take issue with your posting this in support of not closing schools. How do you think this article even applies? First thing it lists re well-prepared & effective teachers. Well, based on current grades of schools across the district, we already have is in place. Engaged parents & communities re in place. Positive discipline policies re retired and implemented as a requirement throughout the district. Still, we continue to lose students. So if this is your answer to later natives to school closure, you must realize it will not only continue to perpetuate the problems we are facing, but Los that it will prevent or eliminate the very programs your own article says are beneficial for schools. Closure is the only responsible & practical solution. Sorry for the grammatical errors. My autocorrect was on overdvie.